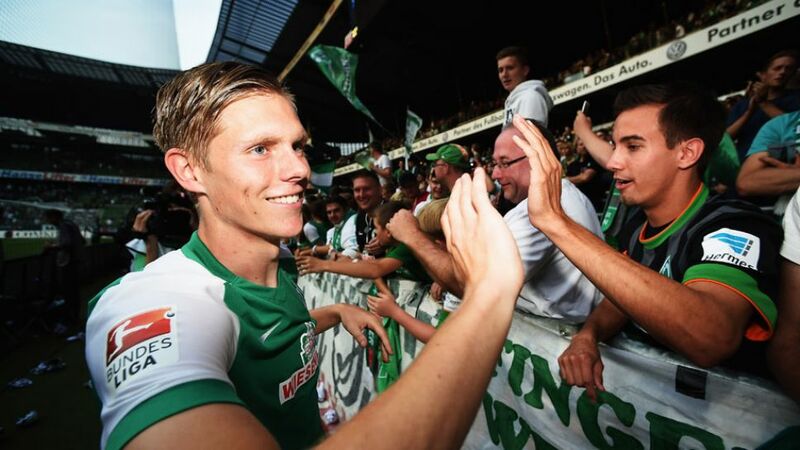 Ankle and groin injuries derailed SV Werder Bremen striker Aron Johannsson's 2015/16 season after a promising start. Iceland's sensational progress at UEFA EURO 2016 has lifted Aron Johannsson's spirits as the SV Werder Bremen and USMNT striker fights his way back to full fitness ahead of the 2016/17 Bundesliga season. Alabama-born Johannsson, whose parents hail from Iceland, was a delighted onlooker as the Nordic island nation made sporting history on Monday, beating England 2-1 to win through to a European Championship quarter-final for the first time in their history. "I'm sure that most people who follow the European Championship have already seen videos of the fans after Iceland's goal," the former Iceland U-21 striker told Bremen's official club website werder.de. "After the England game Reykjavik was full of people celebrating. They sang, fired fireworks and cheered. It's really nice to see how the whole country comes together through football and celebrating with the team." Johannsson featured ten times in Iceland's youth ranks before switching allegiance to the USA in 2013. He has since scored four goals in 19 games for Jürgen Klinsmann’s men, though he was not fit for their recent run to the semi-finals of the Copa America Centenario on home soil. The US and Iceland are 31st and 34th respectively in the most recent FIFA World Rankings, and Johannsson has been relishing both team's progress. "Nobody expected anything from them. Having watched the US team perform pretty well at the Copa America, it has obviously been a pleasure for me tracking Iceland's performances at the EURO. It has already been very impressive." Johannsson was restricted to just six games last season, though he scored two goals in five starts in what was an impressive Hinrunde before hip and groin injuries took their toll. With Bremen kicking off their 2016/17 Bundesliga campaign against defending champions FC Bayern München, Die Grün-Weißen are keen to get their striker back in action, though Johannsson is grateful for their patience. "It was really great to have my family and friends around me, " he said. "After a long and frustrating injury this was very important for me. I am very grateful to Werder for their help. I'm definitely better, but it is difficult to say when I can train with the first team again. I'll be back at the stadium on Thursday training with a physiotherapist, then we will see how things go."